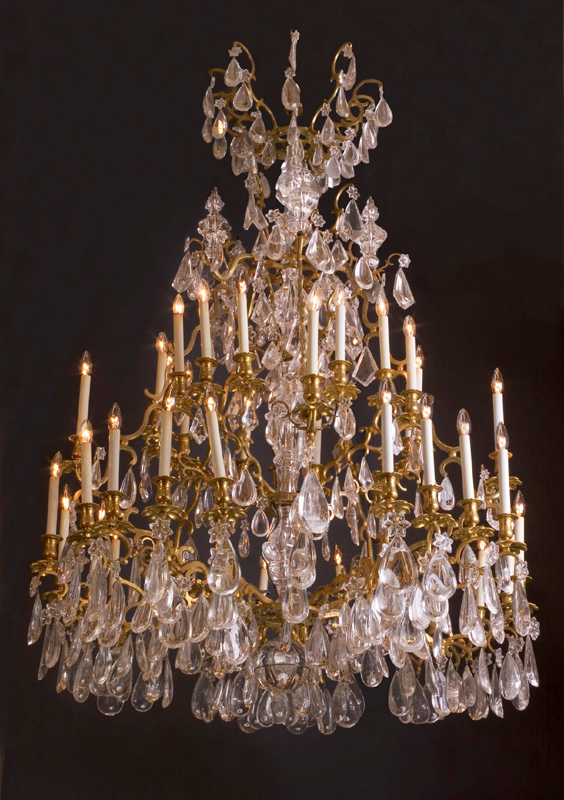 French 19th century Louis XV bronze d’ore & rock crystal 40 light chandelier. This magnificent rock crystal and bronze d’ore chandelier comes from the Paris residence of the Baron James-Mayer de Rothschild, the legendary l’Hotel Talleyrand. 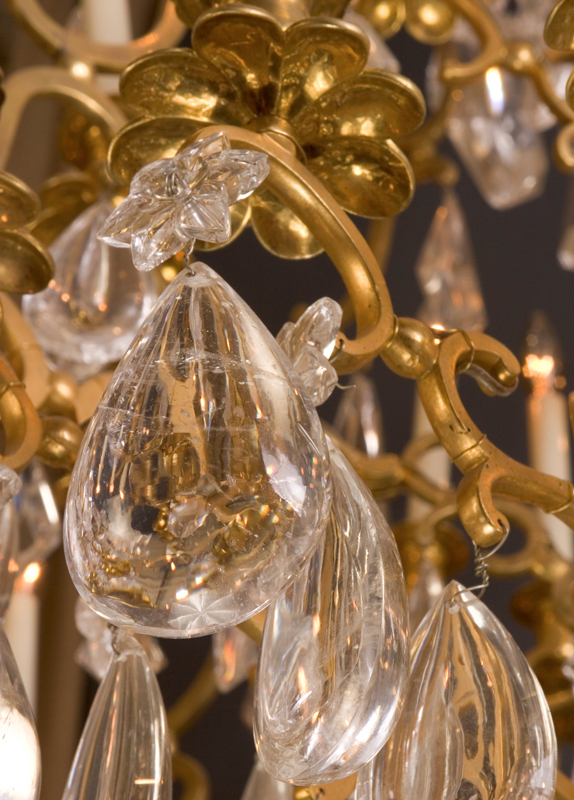 At what was probably the most exquisite “hotel particulier” in Paris, the Rothschilds’ entertained lavishly, and lived a lifestyle that will never be duplicated. 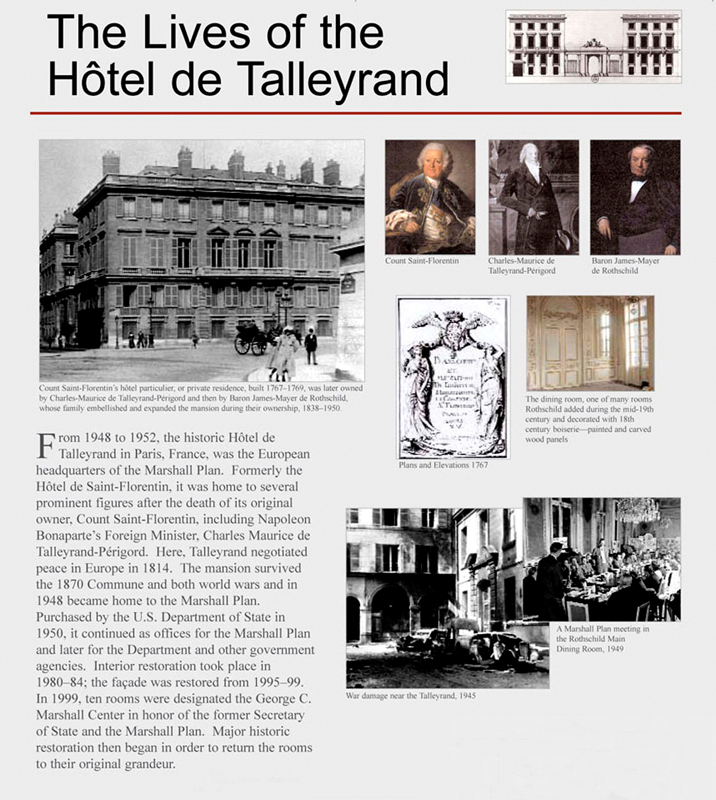 l’Hotel Talleyrand became the site of the administration of the Marshall Plan to rebuild Europe, when the building was purchased by the U. S. government after World War II. 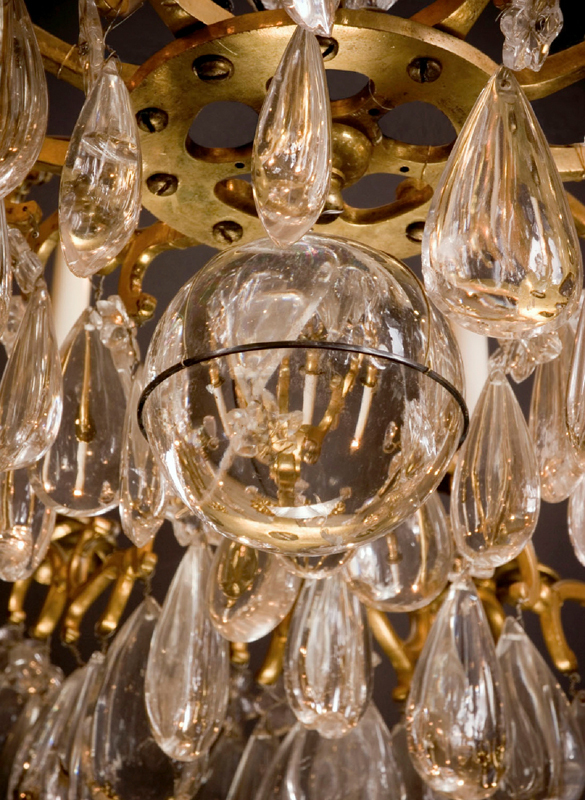 Bearing witness to this opulent lifestyle today, the building continues to host international, political, and cultural events. 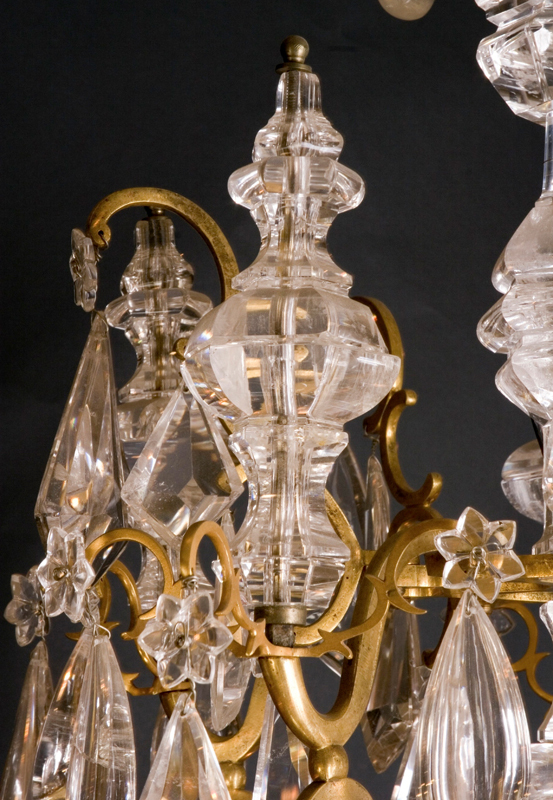 The value of rock crystal is determined by its weight, clarity, and size. 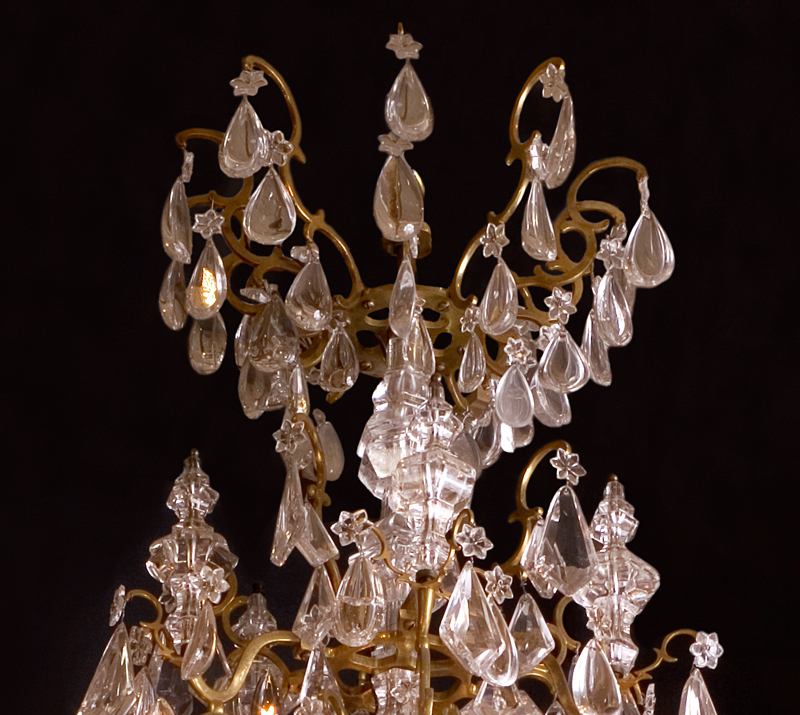 Please note the large carved pieces of rock crystal in the middle, and the ball at the bottom. Please feel free to call us at 504-524-9861 or email us using the form below.